Firefighters Without Borders provides much needed equipment and training to fire departments and communities around the world. 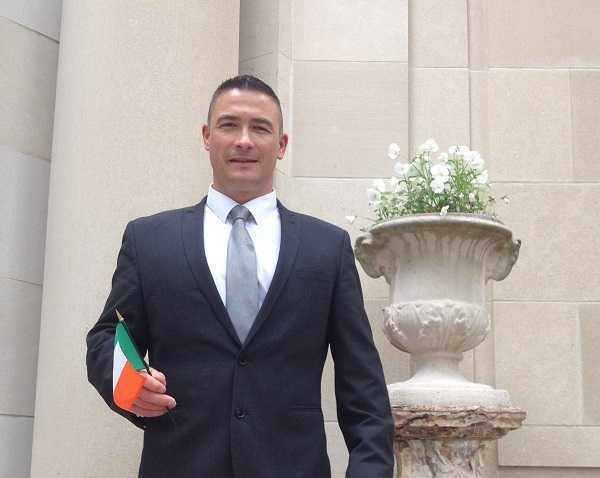 Conor Forrest spoke with President Russell Chalmers to discover more about the organisation’s conception, and how it has gone from strength to strength. 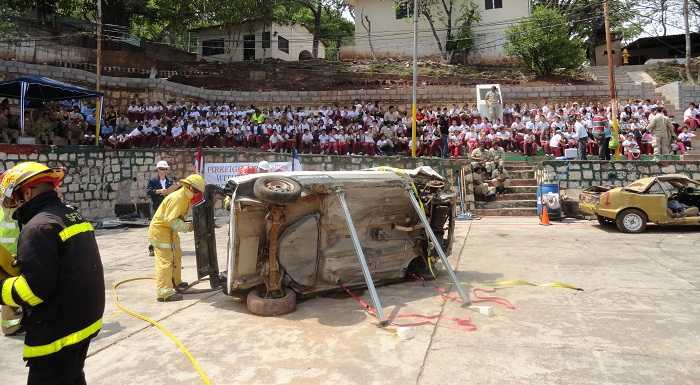 The location is a fire station in Tegucigalpa, Honduras. Firefighters from the city and beyond have gathered to augment their skills or learn new ones, so they can provide a safer, more knowledgeable and effective service in their local communities. Standing over them, giving advice on everything from CPR to bandaging procedures, their trainers have travelled over 3,300km to be here, working with Firefighters Without Borders (FWB), a Canadian charity that was established 14 years ago in order to share equipment and expertise with their less well-supplied colleagues around the world. The story of how FWB was born is an interesting one. In 2002, charitable organisation World Vision, a child-focused group which sponsors children in developing countries, reached out to firefighters in Mississauga, the city in which their Canadian headquarters is based. World Vision had been working on a project in Peru, trying to improve health and education in a community in Ventanilla, outside Lima, which subsequently suffered a significant fire that destroyed around 200 homes. Before they could continue their work in Peru they needed to make the community safer in terms of security and fire prevention. Crew members Captain Hills, Tom Gojak, Andrew Melville, Aron Reppington and Jamie Strak undertook the very first trip to the Ventanilla district in Peru, on their own time and at their own expense, as part of the World Vision Destination Life Change (DLC) volunteer programme. The DLC programme provides Canadian volunteers with the opportunity to make a difference by teaching English, building homes, helping to care for orphans and in innumerable other ways. 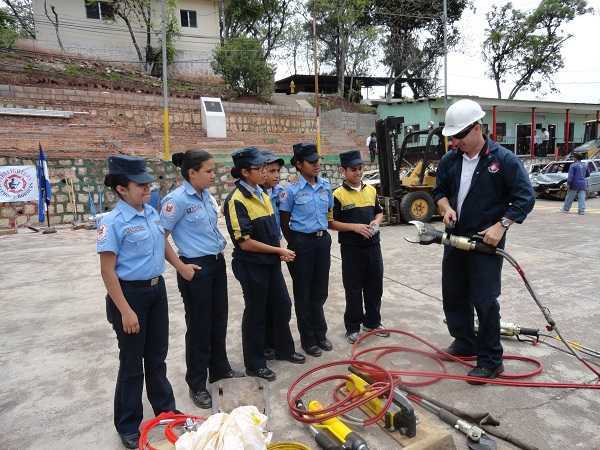 The crew approached local fire stations and corporations seeking equipment donations to help boost the capabilities of the Peruvian fire brigade. That collection grew to include firefighting gear, Spanish training manuals and rescue equipment. “They approached some folks that they knew in our department, [and asked] if we would be interested in putting a group together to go down there and teach the firefighters in that community about fire suppression, fire prevention and also to provide them with some equipment that they needed,” Chalmers explains. Following their mission to Peru, which consisted of two trips to provide equipment and training, the Mississaugan firefighters quickly realised the scope of what they could do around the world. Since then, FWB has brought its expertise to communities across the globe, from Peru to Macedonia (Mississauga is home to a large Macedonian community). “Some communities require or request equipment, so we will meet standalone requests. We send equipment throughout the Caribbean, South America, and we get significant interest from Mexico,” he says. Their most recent expeditions have been to Honduras, where they worked with the country’s national fire service on a sustainable basis. “Our motto is really based on sustainability, and rather than just go into a community and give out gear and maybe do some training, what we really try to do to achieve sustainability is to provide our training in the Train the Trainer format, and we really like to work with the national fire service in a strategic, top down approach,” says Chalmers. The missions to Honduras provided a real opportunity to set that model in motion across a total of six trips, working with the national fire service to identify people from across the country who could become trainers within their own organisations. 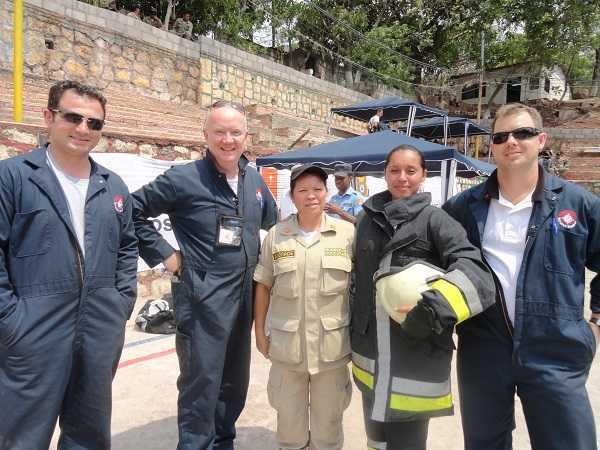 “The national fire service brought them to the capital of Tegucigalpa, we did Train the Trainer programmes for them in a number of disciplines over our six trips,” Chalmers explains. That included first aid, CPR, and a high standard of training in relation to hazardous materials. There are also opportunities on home soil. Canada is home to over 850,000 aboriginal Canadians known as the First Nations, with 634 recognised First Nations governments or bands stretching across the country. Poverty remains a major issue. The firefighters who travel with the charity provide their time on a voluntary basis. Thus far they are all Canadian firefighters and mostly from Mississauga, though as Chalmers explains there are plans to expand the organisation to the US and Europe. Chalmers himself has an extensive background as a firefighter in Canada, having served as a platoon chief for the Mississauga Fire and Emergency Services – the third largest fire department in Canada – both in their training and operations divisions, and was responsible for the development and oversight of programmes in hazardous materials response, auto extrication and incident command. Following his early retirement in 2008, he joined the Pre-Service Firefighter Education and Training Programme at Toronto’s Seneca College as a programme coordinator. These days he is fully retired, and donates all of his spare time to Firefighters Without Borders. “Right now they are mostly Canadian firefighters, but we certainly are growing as an organisation. We have attained our charitable status in Canada which is a significant step, and we do have growth plans to expand not only in North America but hopefully to have European chapters or perhaps chapters in the UK at some point. That’s part of our growth strategy, to meet the needs that we see out there,” he says. FWB isn’t the only organisation of its kind, and Chalmers tells me about meeting a number of grassroots groups that provide similar assistance. “They do tremendous work out there as well. It’s really heartening to see all the folks seeing a need and meeting the need. I imagine the same thing is true in Europe.” That assistance is made possible partly due to stringent Canadian equipment and PPE standards, which require that equipment must be recycled after 10 years. Should it be simply taken to a landfill or instead put to good use elsewhere? One of the main challenges Firefighters Without Borders faces is ensuring that they get in touch with the right people, and that any equipment or training provided is delivered into the right hands. The organisation will seek out a relationship with the country’s national fire service, but this may not always be present or in a position to work with outside agencies. As a result FWB receive a large amount of requests from small committees or outlying fire departments in communities that aren’t covered by the national service. “One of the challenges for us it to identify first of all that these people are legitimate, and they are not some third party presenting themselves as fire department representatives who may just want the equipment that they’ll resell. That’s one of our challenges – to identify that the requests are legitimate and to quantify what their needs are,” Chalmers explains. Ensuring that equipment or other supplies get through customs without any problems can also be tricky – sometimes it can be held up while a larger than anticipated fee is paid, or if items disappear onto the black market. “That’s why we really like to work with a larger agency nationally, so that they can facilitate getting equipment into the country and through customs, and distribute it equitably in the country without it going astray,” he says. Funding is another major issue. Alongside smaller fundraising events, the organisation’s largest fundraiser today is a firefighter calendar, which they sell at various venues and malls in the lead up to Christmas, as well as online. However, Chalmers’ funding vision is much broader. 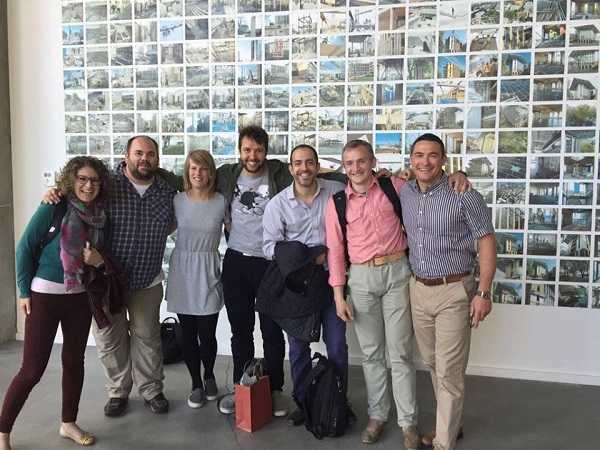 “At the same time, as we grow we are reaching out to a number of corporate sponsors, particularly Canadian companies or multinational companies that may have a presence in the communities where we work. So that’s our focus as well – to increase corporate sponsorship,” he explains. As the organisation’s reach continues to grow, the future looks bright and Firefighters Without Borders is truly living up to its name. As Chalmers explains, a number of projects will get underway this year, including pilot projects with the First Nations community in Canada, a partnership with the government of Saint Lucia to provide them with equipment and training in a number of areas, and a request from Bolivia for help in training volunteers. Their reach is expanding, and Chalmers hopes to grow their horizons beyond the grassroots stage. For more information, see www.firefighterswithoutborders.org.